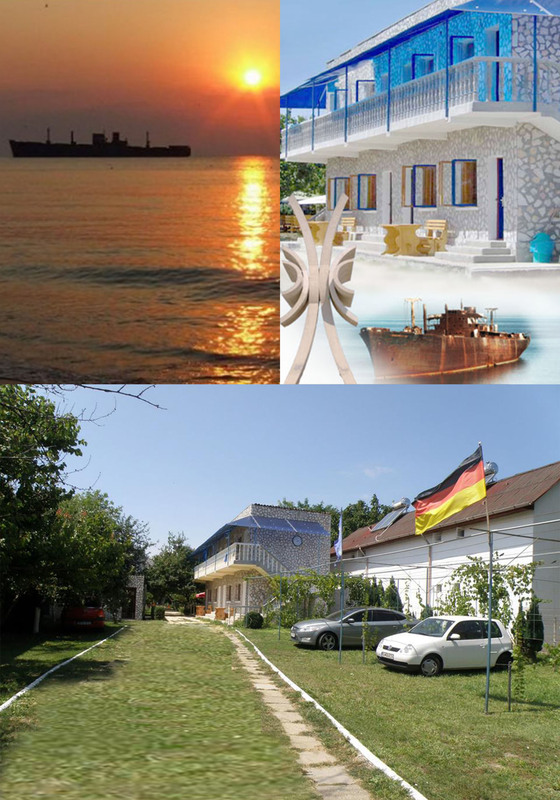 Our pension is situated 150 meters from the beach Costinesti on Tineretului Street no. 79 (former Principal), the same street where you can find the police, the store ABC and about 3-4 minutes walking from the main points of the resort Costinesti (chirmes, tennis, volleyball, jetski, etc.). The guesthouse is situated in a quiet area, very close to the summer gardens, mail, restaurants and other entertainment media. We can offer accommodation for 64 people in 20 rooms of 2, 3 or 4 people. The rooms are equipped with chairs, tables, wardrobes, TV, refrigerator and bathroom. Hostel buildings are situated on a plot of cca.1700 square with shady trees, flowers and lots of lawn, giving you the possibility of preparing a barbecue, taking breakfast outdoors at tables equipped with large umbrellas in a family atmosphere, all at very reasonable prices (even questionable, depending on the desired time of stay). We accept pets for a fee (25% of the price per room). The pension is equipped with washing machine that can be used for payment, and detergents are included. Tourist Paradise also offers you a fully equipped kitchen. For reservation will be charged a deposit of two nights (made electronically or by money transfer in our account at ING Bank), and the difference is paid on arrival. In terms of giving up, accommodation is non-refundable. Also, money will not be refunded if giving up a part of the stay. Teaching room / rooms will be made before 10:30 am. The price includes: parking tax, health tax, resort fee. Accommodation facilities: automobiles (from airport to hostel for clients coming from abroad), Wireless Internet, Currency Exchange, Pets, parking, garden / yard, access to kitchen, laundry, terrace, grill / barbecue, orchard. A pleasant holiday is based on mutual respect from us and from our customers!